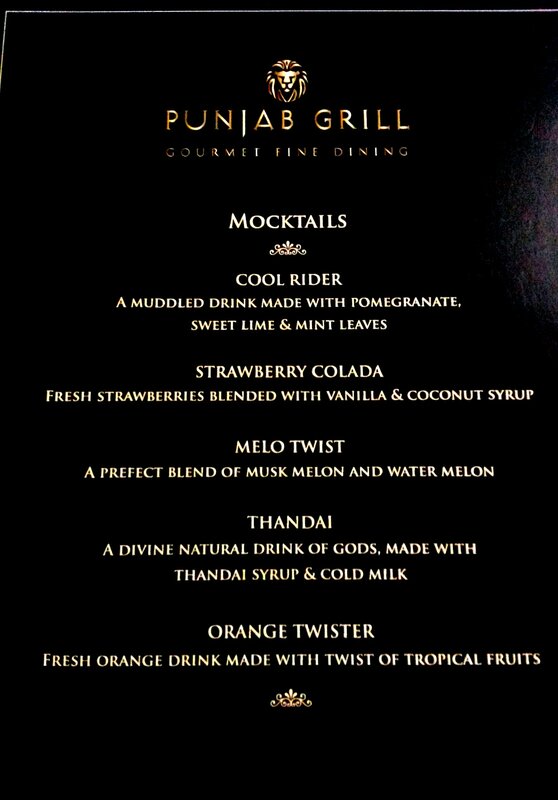 It was a Saturday evening when the temperature in Mumbai had dropped to its lowest of the season and I was at the prelaunch of the winter menu at Punjab Grill- A chain of specialty Indian fine-dining restaurants (A brand of Lite Bite Foods). The restaurant has both indoor and outdoor seating and we were in the latter enjoying the nip in the air. The outdoor setting looked pretty with aureate lighting and nicely laid covers with candles and flowers as table appointments. 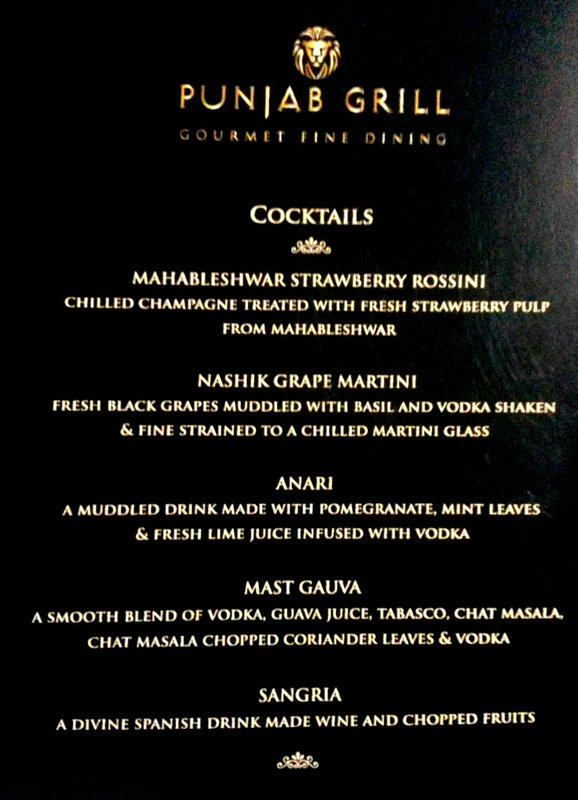 It started with a choice of cocktails, Nashik Grape Martini, Anari, Mast Gauva , Sangria and the Mahabaleshwar Strawberry Rossini. I picked the Rossini, a blend of fresh strawberry pulp and Chandon sparkling, a good combination as the strawberry added to the flavor of the sparkling. I had a couple before I moved on to the plain sparkling. On the table was Shalgam (Turnips) ka achar, Mutton ka achar and fried sago papad and they only fuelled our hunger. There was a pre-set winter menu and food just kept appearing in regular intervals. 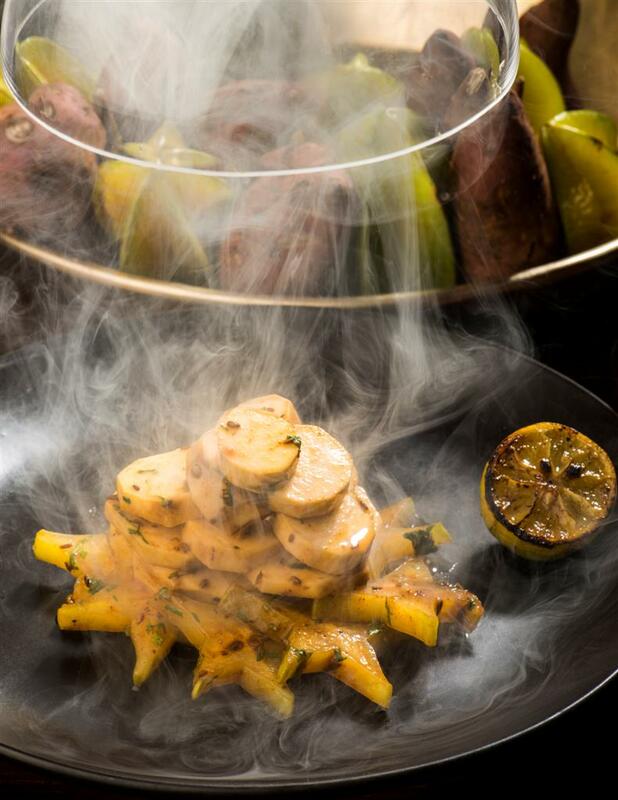 Shakarkandi Kamrakh Ki Chaat…see the applewood smoke rise! Stay away from this if you ‘hate’ mustard. This is a fermented drink made of black carrots and mustard. 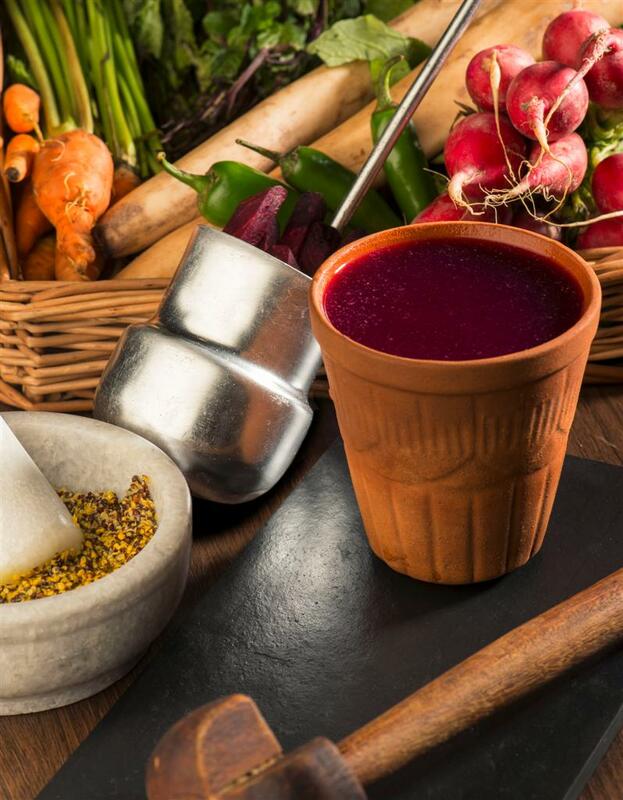 Over 3 days of maturing in earthen ware, it has the aroma and colour from the carrots and the pungency from the mustard, works as a perfect aperitif. Laden with Umami this thin soup was extremely flavorsome and served with cheese stuffed coin-sized kulchas. 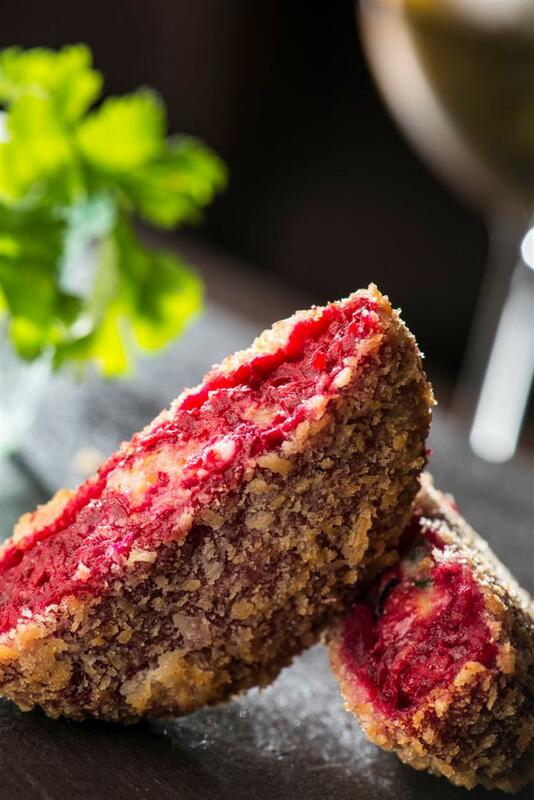 Deep fried beetroot tikkis stuffed with hung curd and pine nuts was pretty ordinary. I thought a texture like a Galouti, richness of the curd with the crunch of Pine nuts would have worked better. Bheja Masala (INR 495), Tabak Maaz (Lamb ribs INR 575) and Methi Chicken tikka ( INR 495) were the non-veg options . From the fellow diners; I understood that the Chicken was flavoured and cooked to perfection. 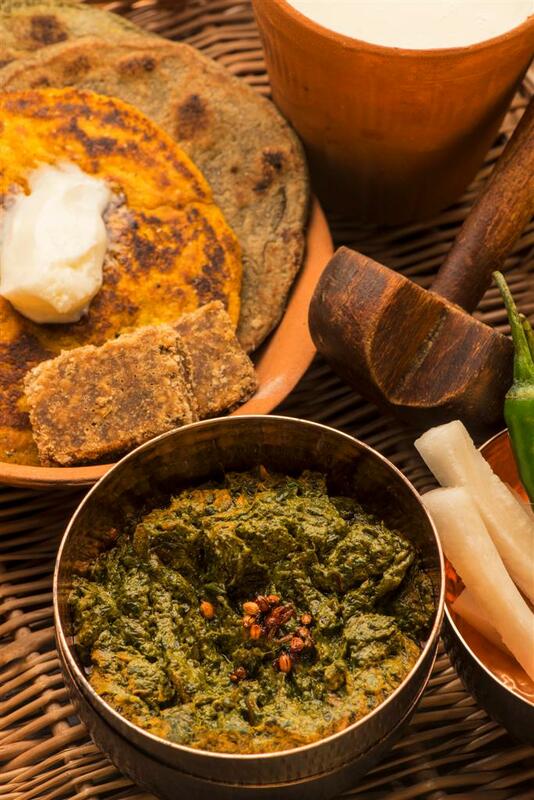 The main course was Sarson da Saag (INR 495) with Makke di roti (INR 125) accompanied with ginger and ajwain flavored jaggery and white butter. Loved every bit, but thought it had some twist to the original. 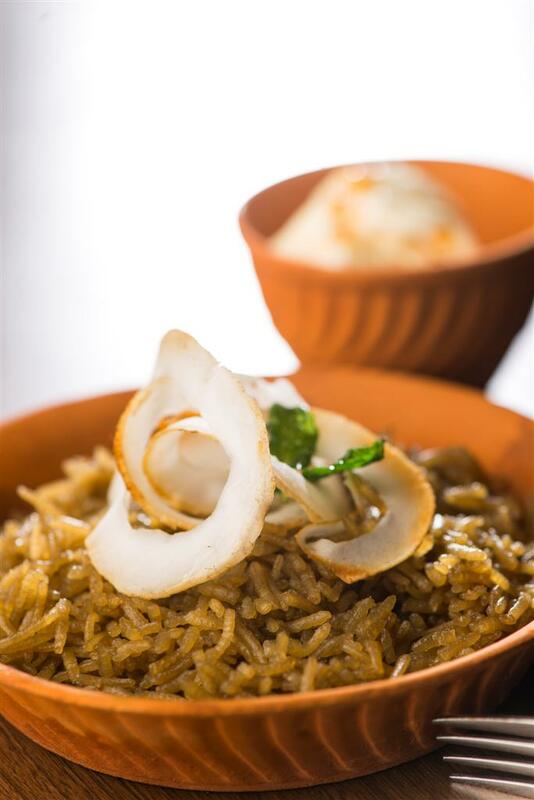 The veggie Bhaurangi Biryani (INR 595) was non-greasy and aromatic, excessively ‘ beetrooty’ in colour to look at though. It was an hour to midnight, the desserts were on its way and trust me, despite of the mercury looming low we were all chirpy, comforted with the blanket of the winter menu. 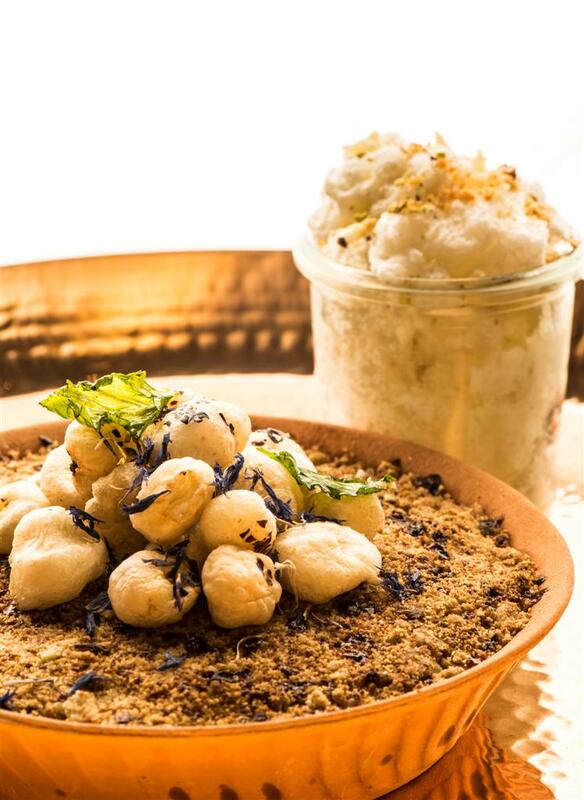 And then arrived the Gurhwale Chawal and Bajre ki choori; both were ethereal , one a mix of basmati sweetened with jaggery, flavoured with cardamom and fennel and the other a Bajri roti and jaggery crumble with Charoli and pop-corn like lotus seeds. The evening ended with pan-shots, the liquid version of Sweet pan in a short glass. My verdict: Great setting, amazing hospitality, with many worthy dishes and few commonplace ones this place at INR 2000 for a meal for 2 warrants a visit especially in the outdoor settings given the season’s temperature. 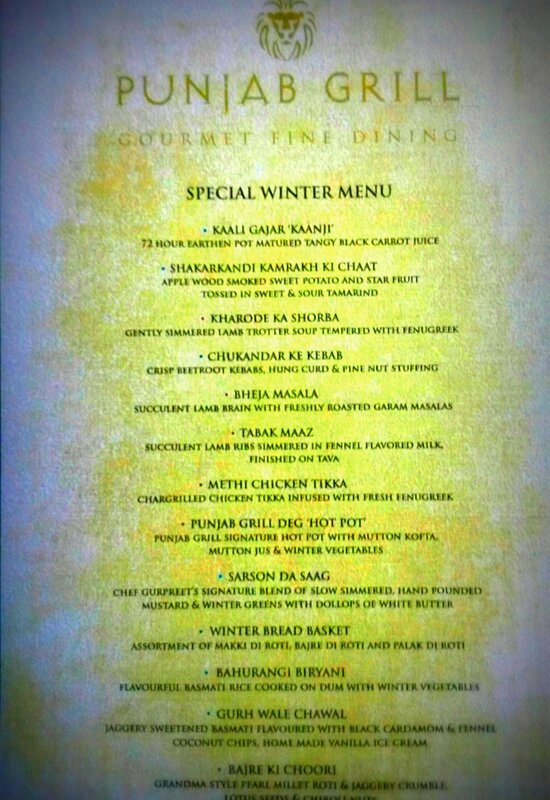 The winter menu is on till Holi, the festival of colour marks the end of winter say some. Go soon though if you really want to feel the chill! Restauranthesis: Mahjong – Exotic ‘Chindian’ diner!